Here, in a beautiful new hardcover edition, is the novel that to this day continues to shape modern science fiction. 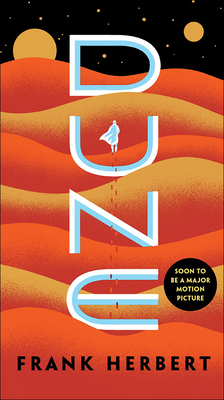 Set on the desert planet Arrakis, a world more awesome than any other in literature, Dune begins the story of the man known as Maud'dib -- and of a great family's plan to bring to fruition humankind's most ancient and unattainable dream. A stunning blend of adventure, mysticism, environmentalism and politics, Dune won the first Nebula Award, shared the Hugo Award, and formed the basis of what is undoubtedly the grandest epic in science fiction. Frank Herbert's death in 1986 was a tragic loss, yet the astounding legacy of his visionary fiction will live forever.